Got the mail this morn. 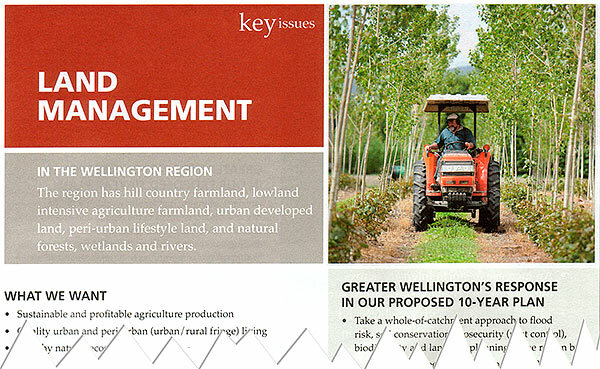 Again the postie bought a nice surprise with several photos I’d done during a commissioned photo shoot for the Regional Council appearing in a discussion document on the 10 year Regional Plan. I’ve spent several days commissioned shooting recently adding to a series we’ve done with the Regional Council profiling their different operational departments. Very satisfying work meeting a variety of folks connected to the land and their obvious great pride in the jobs they do. It’s certainly true that to get the best out of subjects you need to gain their confidence, but fortunately not hard when you have to poke your nose into interesting work done by the likes of Pest Control Officers, Environmental Officers, Watercare Technicians, Sustainability Educators, Nurserymen etc. We enjoy commission work with a range of companies, Government departments, or Agencies so drop us a line if you want further info, a quote, rates, or to see further work. We’re also experts in the outdoor when the work may get challenging or dirty, or require that extra bit of effort. I follow your posts for a long time and must tell you that your posts always prove to be of a high value and quality for readers. 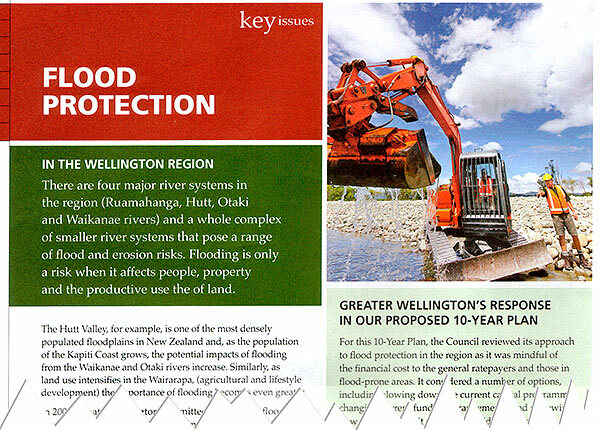 You're reading Monday morning image use – Greater Wellington Regional Council mass mail-out at Nature’s Pic Images Blog.